In 1968, attorney at Law Dr. Konrad Lübke founded the brokerage house Dr. Lübke Immobilien in Stuttgart. 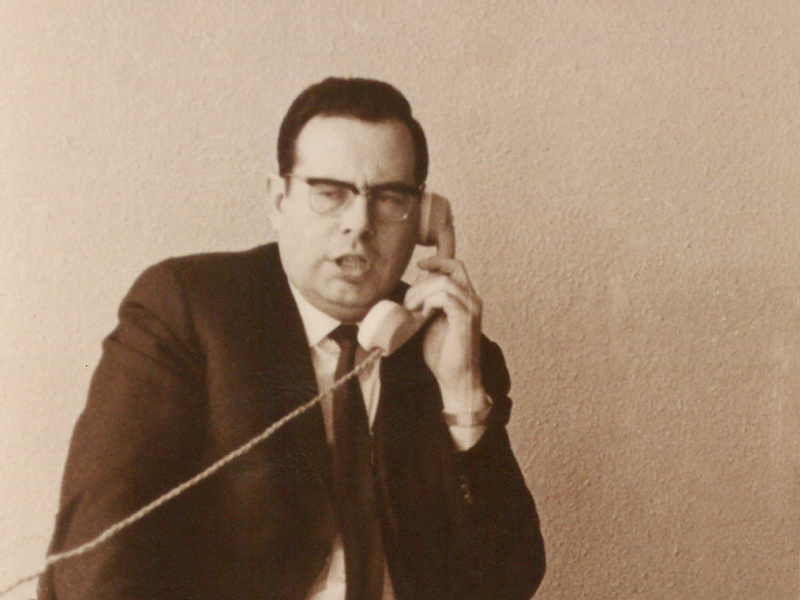 His first and most important employee for many years was Hans L. Schachtler, who later influenced the development of the company as Managing Director up until year 2000. Prior to the formation of Lübke Immobilien, both men had already successful careers in the real estate industry. And after a few years, Lübke Immobilien became one of the top addresses in the Stuttgart area. The company’s focus was initially on high-quality, single-family homes and apartment buildings that witnessed a renaissance in the mid-60s. Dr. Lübke was awarded the first contract for the privatization of company-owned apartments by the Salamander AG. And that contract became the foundation stone for socially-acceptable privatisation of residential property in Germany. The business potential was enormous. Until the end of the 90s roughly 70,000 apartments would be privatized through the aegis of Dr. Lübke GmbH. The company’s reputation for excellence extended to the Federal Government: Schachtler advised the government on the formulation of the first Controlled Tenancy Act. The tradition of German industrial culture at the time included supplying permanent staff members with company-owned apartments. From the 70s on, many companies began to sell off these properties to their employees. The objective was to sell the apartments in the most socially-acceptable way to the employees living in them, and use the disclosed hidden reserves for investments in the company development. In 1985, Jürgen F. Kelber founded his own real estate company in Heilbronn. It initially operated under the name Schwaben Immobilien and later on received the name Alt & Kelber Immobilienkontor. In the following years, the company engaged itself intensively in the privatization of apartments. The name Alt & Kelber thereby became an established name in the real estate sector. In the years that followed, close to 50,000 apartments were capitalized in the market by the company. Dresdner Bank AG, Germany’s second largest bank, acquired the real estate company Dr. Lübke in 1989. The objective was to integrate the acquired competences into the service portfolio of the bank and to offer real estate services nationwide. In the years that followed, independent offices of the brokerage subsidiary emerged within branch locations of the bank and additionally, in the newly-founded German federal states. This family connection would last almost 13 years and the brand Dr. Lübke remained a dominant player in the market. Dresdner Bank was not the only bank that took over a brokerage company at that time. Other banks, especially Deutsche Bank, was integrating brokerage companies into their own business. The aim was to completely take care of their customers within the so-called “one-stop financial services concept”. From today’s point of view, this strategy was not very successful. With the reunification of Germany in 1990, new perpectives opened up for Dr. Lübke, as well as for Alt & Kelber. Both companies founded branches in the new federal states early on. Jürgen F. Kelber founded the Alt & Kelber privatization of apartments as well as his own property management company. One of the company’s major clients was the public land property company TLG. Deutsche Bank rewarded the company for its privatization services. Dr. Lübke privatized apartments for TLG and many municipal companies as well. Simultaneously, offices were founded Berlin, Dresden, Leipzig and Erfurt. Their particular focus was on transactions with multi-family homes and housing complexes. Together with the Dresdner Bank they placed selected new building projects of significant volumes with capital investors. In 1999, a real estate group was formed within the Dresdner Bank which included the companies DEGI and Dr. Lübke. 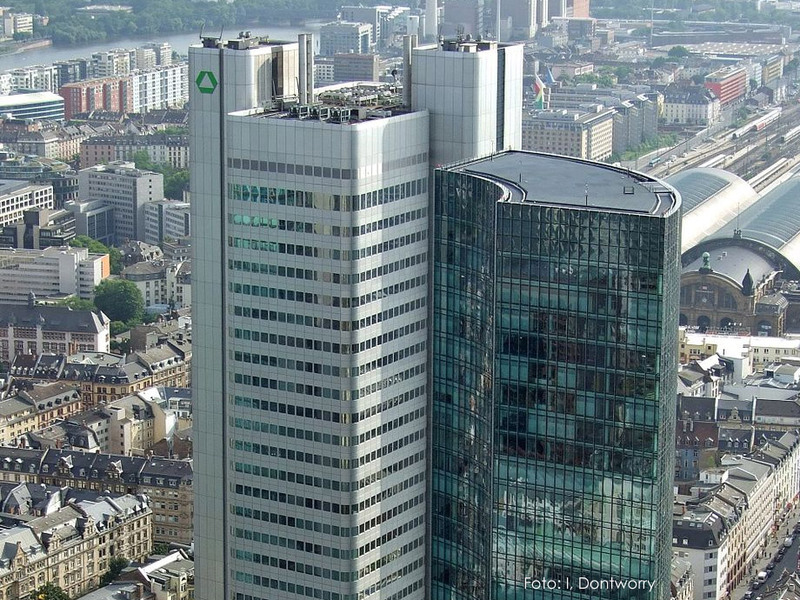 In this context, the headquarters of the company relocated to Frankfurt am Main. As hard as it was to leave Stuttgart, it was more important be in the centre of the german real estate business. The Japanese bank NOMURA took over 113,000 railway workers’ apartments. At the time, it was the largest transaction in the german housing market. Dr. Lübke executed the first major due diligence in the real estate industry, on behalf of the bank. The core of this extremely extensive analysis was to estimate the opportunity of privatization and the corresponding revenues. After the privatization of the apartments, the vast experience of the Dr. Lübke team, enabled the ideal condition to solve such a complex task with compelling and market-oriented results. For a long time, this was considered to be a politically controversial transaction. But municipalities and institutions needed money, so the sale of the railway workers’ apartments was a welcomed transaction. It was only many years later that the resulting euphoria significantly slowed. 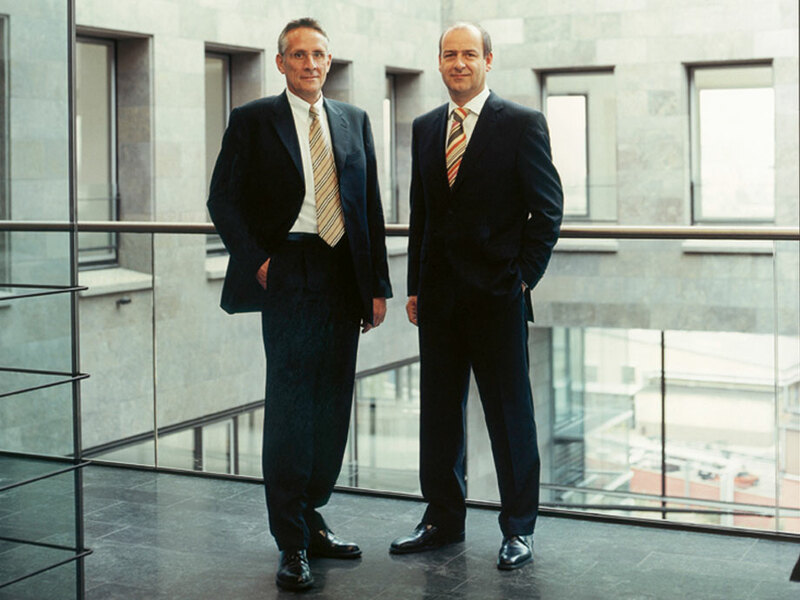 As part of a MBO in 1999, Morten Hahn and Ulrich Jacke took over Dr. Lübke GmbH from Dresdner Bank. Once again, the company was owner-managed and independent. Morten Hahn and Ulrich Jacke have been managing directors since 1999. Morten Hahn joined the company in 1994, after working in the corporate client business department of the Dresdner Bank, and was responsible for the development of the regional offices in Dresden, Leipzig and Erfurt until 1999. 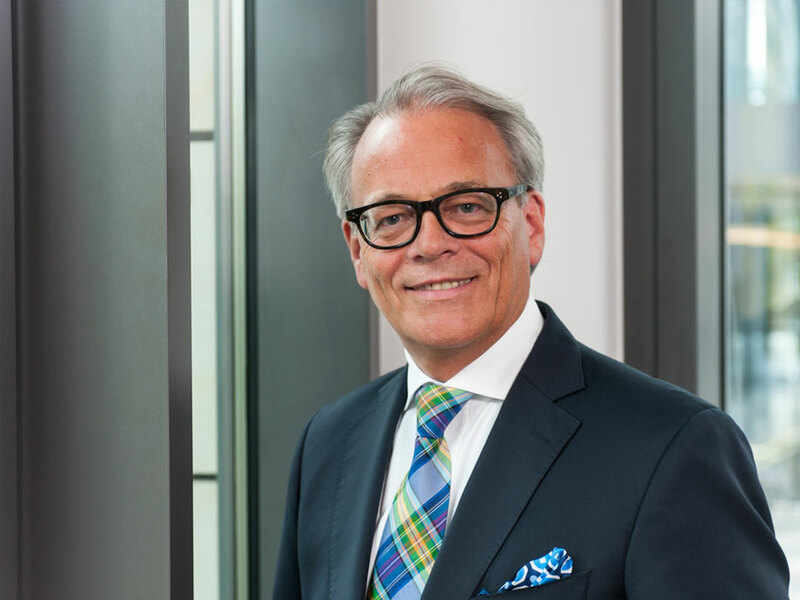 Ulrich Jacke had been working at Dr. Lübke since 1991, after several years in a managing position at Dresdner Bank, where he was responsible for the investment divison of the company. Both men had a clear vision of the future development of the company and inditiate a significant change in strategy. The business of Dr. Lübke was mainly focused on the monitoring of transactions of residential and commercial investments and on the letting of commercial space. At the same time, a new division of the company was introduced called consulting & valuation, that aimed to expand Dr. Lübke’s advisory expertise. This new focus would pay off well in the following years. As part of a strategy change, the operation in Stuttgart was no longer associated with the traditional retail business redarding single-family homes and apartments. The large and previously inefficient network of offices was streamlined down to 6 regional offices. was now being implemented by Alt & Kelber. As the most important and biggest sales partner of Deutsche Annington, that now held the railway workers’ apartments acquired by NOMURA, Alt & Kelber realized the privatization of the holdings. In addition, there were other resources including the acquisition of VITERRA. By this point, Kelber managed a company that had 400 employees and close to 50 offices throughout Germany. The goal of 50,000 apartments was getting closer. At the same time, Ralf Kind – later partner of the Dr. Lübke & Kelber GmbH, was working at Barclays Capital in London, on the first securitisation of german residential properties. The € 265 million heavy securitisation of 8,500 apartments, known under the transaction name “Hallam”, by the VITERRA subsidiary Frankfurter Siedlungsgesellschaft mbH (FSG), was the first securitisation of german housing stocks. It was successfully placed in the capital market in 2004 and the link between german residential properties and the capital market was therefore established for the first time. In the following years, the Hallam-structure would be used as a financial blueprint for many other transactions in the german real estate market. But even as the Investment frenzy dampened, Dr. Lübke’s years of experience with residential real estate portfolios paid off. The company was mandated by national owners, as well as by renowned international investors, with the due diligence of major german residential portfolios and it managed numerous transactions worth billions of euros. These included the selling of GAGFAH, GSW, VITERRA, the housing stock of the city of Dresden and many NPL portfolios. The company’s focus was also set on marketing commercial portfolios. One example was the marketing of the multi-million euro portfolio “Leo 2” which included several administrative buildings on behalf of the federal state of Hesse. International investors discovered the german real estate market for themselves at the beginning of this decade. In comparison to other European citis, residential properties were significantly undervalued in Germany. Due to an almost limitless supply of favourable funds coming into Germany from other countries, the annual transaction volumes reached record highs over and over again in these years. It wasn’t until 2007 when the positive mood was dampened due to the American real estate crisis. Danish institutional investors PKA and Top Danmark commissioned Dr. Lübke build-up a residential portfolio in Berlin and to manage its assets. This was an entirely new challenge for the company. Until now, the company had only provided consultancy services for transactions, but now it would take on the role of an investor. 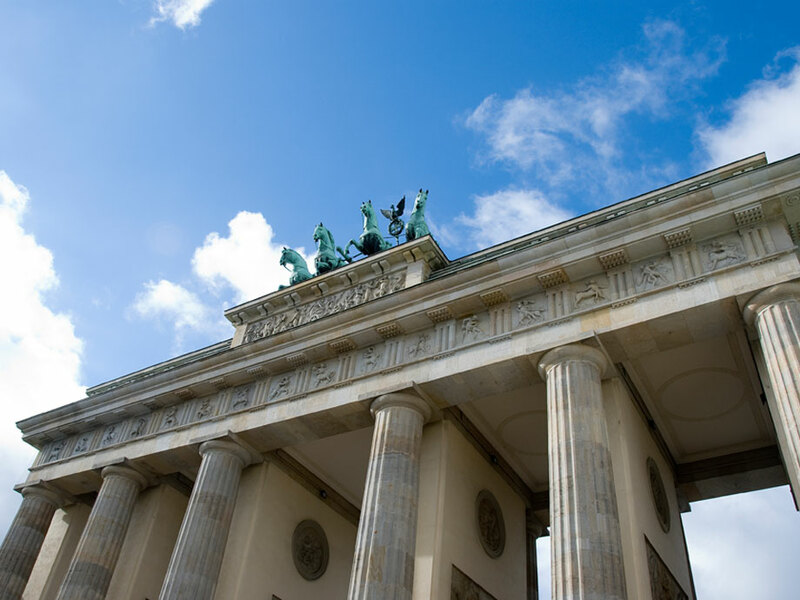 This new dimension lead to the founding of an asset management team in Berlin, which was enormously successful. Real estate worth € 200 million were acquired in Berlin and Dresden – often in individual transactions – and were optimized step by step. The portfolio was placed on the market in 2014 with great wins. The combination of transaction experience, analytical and management competence paved the way for the Dr. Lübke's success. The Viennese real estate group CONWERT purchased the real estate company of Jürgen F. Kelber with its 400 employees in 2008. 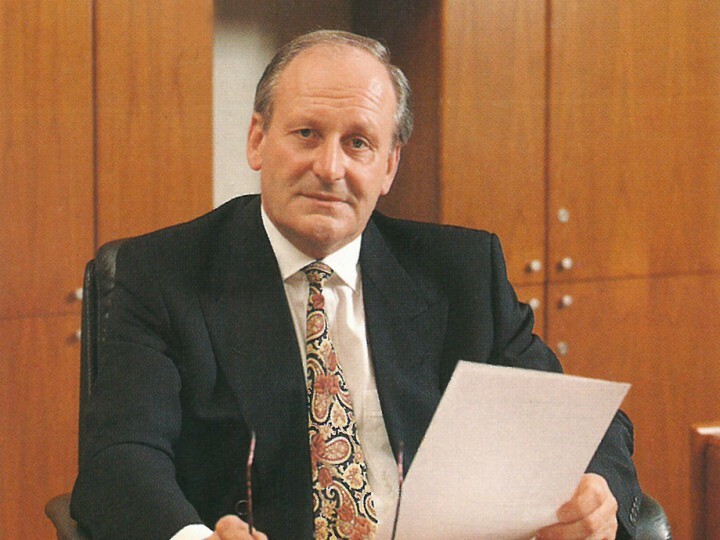 As Board Member of CONWERT, Jürgen F. Kelber developed the integrated company into an asset management company. Not only did they look after their own properties, but also properties of third parties were purchased, optimized and privatized. Their most important client at the time was Deutsche Bank subsidiary DWS, on whose behalf CONWERT developed and supervised a € 500 million residential property fund. Jürgen F. Kelber left CONWERT at the end of 2012, after his contract expired, so that he could focus on medium-sized prospects again. Like many companies, Dr. Lübke GmbH was hit by the financial crisis that began in America and spread to Europe. The collapse in demand for German real estate and the reluctance of banks to invest as result, created a dramatic sales decline. During this time, various restructuring measures were successfully launched. Jürgen F. Kelber and Ralf Kind became the new co-shareholders of the company that operated thereafter as Dr. Lübke GmbH & Kelber, each holding a 50% stake. Ralf Kind was an experienced investment banker with corresponding capital market expertise. Their common goal was to expand the consulting and transaction expertise of Dr. Lübke to capital market expertise, thus creating a convincing value chain from investment management to asset management and transaction advisory. At the same time, the sister company Arbireo Capital AG was founded. Ralf Kind is retaining close ties with the company as co-shareholder after his departure from the Board of Management in September 2016. As a strategic partner of Gerald Eve LLP, Dr. Lübke & Kelber has become part of an international alliance of independent real estate agencies with 21 predominantly european, american and indian partner firms. Customers will benefit from an excellent access to global real estate markets and a best-in-class-service through 1,723 highly qualified professionals. This year allows us to look with pride on the 50th anniversary of our company and the successful business strategy, that includes besides investment consulting and real estate agency, asset management services for various key accounts. As an independent, owner-managed transaction advisory firm with an excellent market and real estate competence, Dr. Lübke & Kelber is operating nationwide with a special focus on medium-sized clients. Its long-time high quality standards, coupled with continuity and reliabilty, guarantee its clients a high success rate in selling mandates.